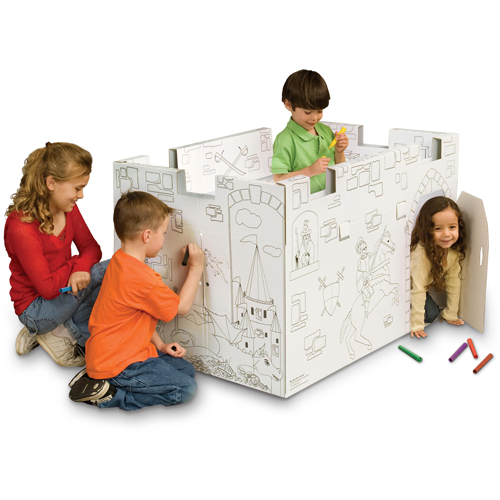 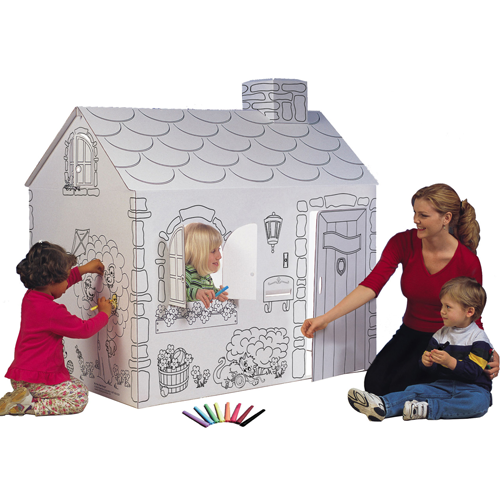 These collapsible childrens coloring playhouses easily expand for play and collapse for storage. 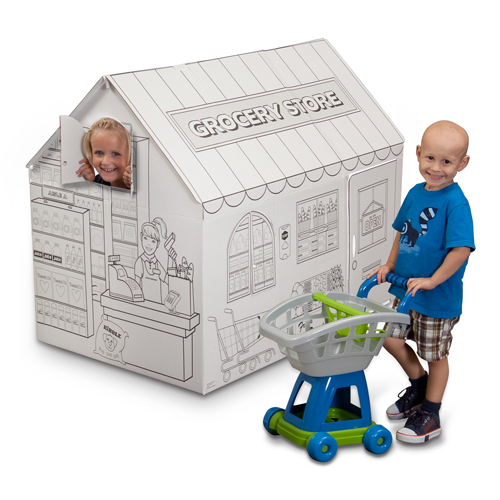 Our kids playhouses include a Pirate ship, Retail Grocery store, Castle, Cottage and smaller Hide & Seek, a model for any imagination! 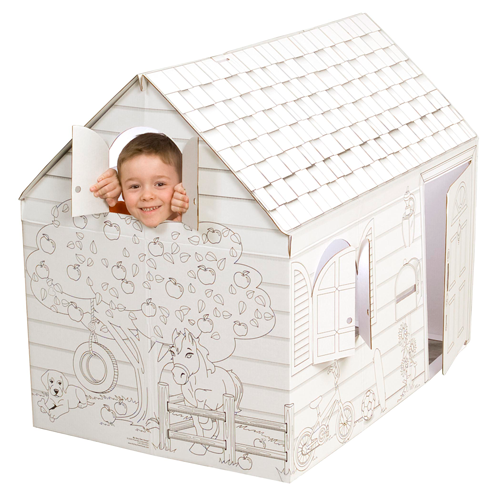 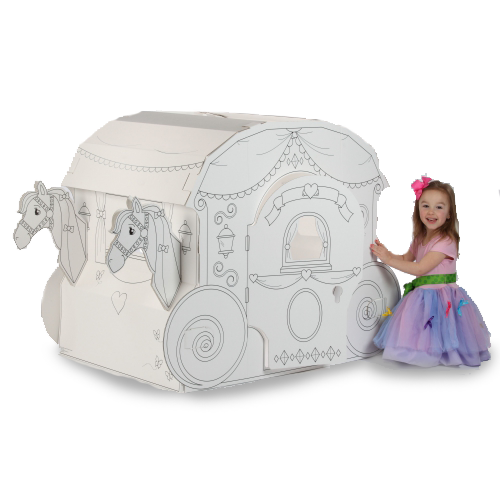 All our cardboard playhouse products are made from bio-degradable, eco-friendly materials (including recycled content) that are formaldehyde-free and completely recyclable.